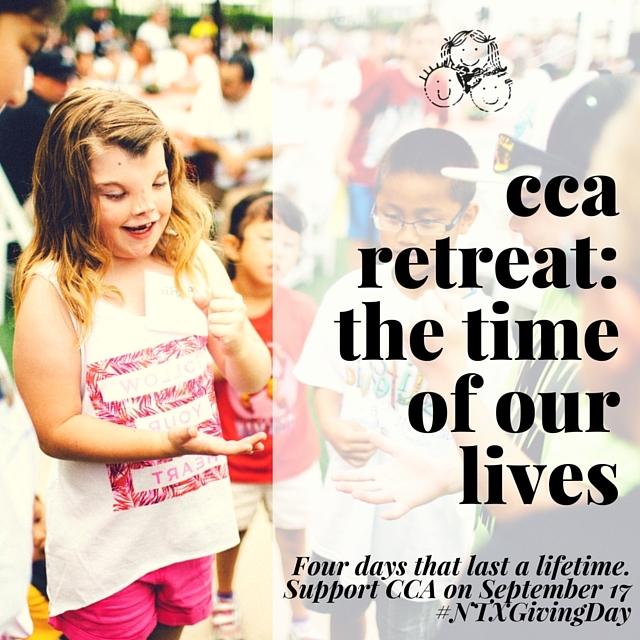 CCA Kids Blog: Today is #NTXGivingDay! Get Sharing! 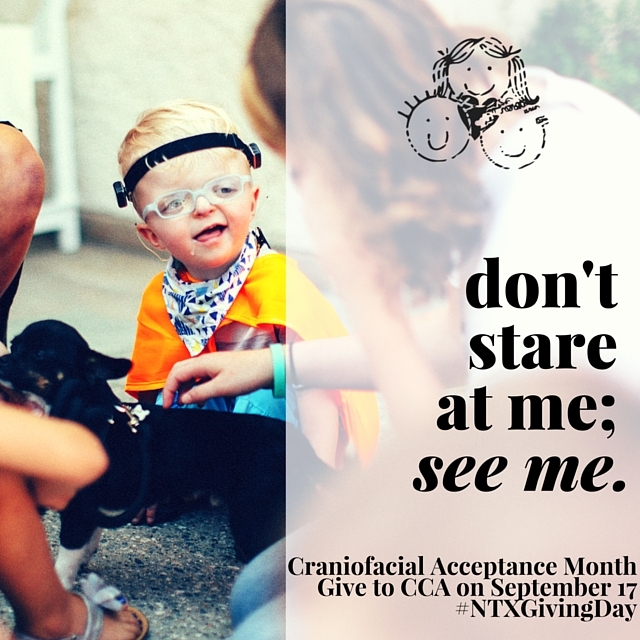 One of the most important things you can do for ‪#‎CAM2015‬ is share this blog post and our online fundraiser for ‪#‎NTXGivingDay. Please also Retweet our official tweet (the most RTs from a single tweet wins $1000!). 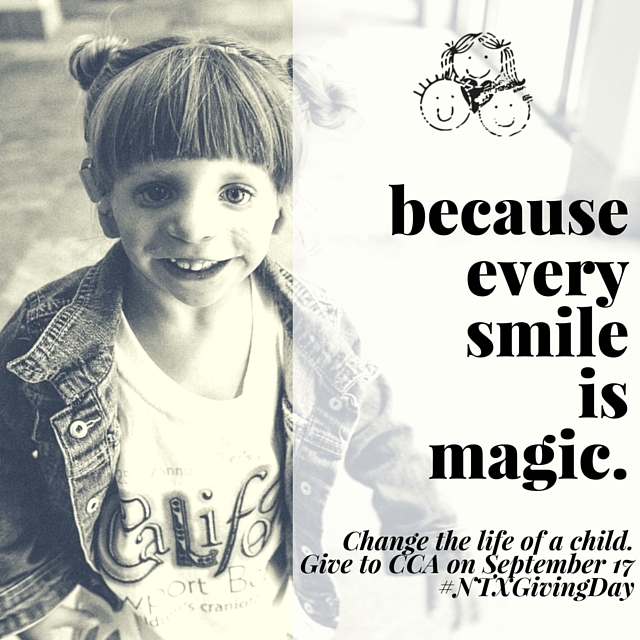 Today, corporations in the ‪‎Dallas‬ area have pledged matching funds for every donation made, starting at 6am CDT on September 17, 2015. 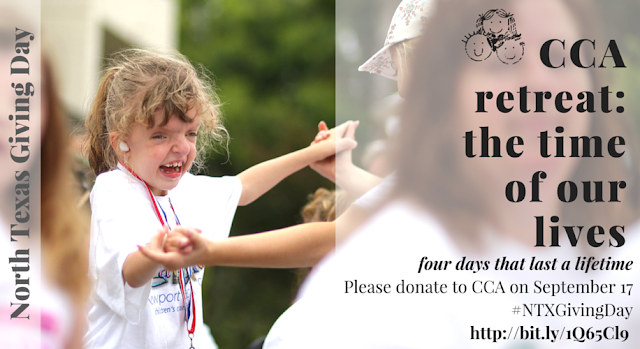 Plus, the more donations we receive, we become eligible for bonus prizes and cash grants! 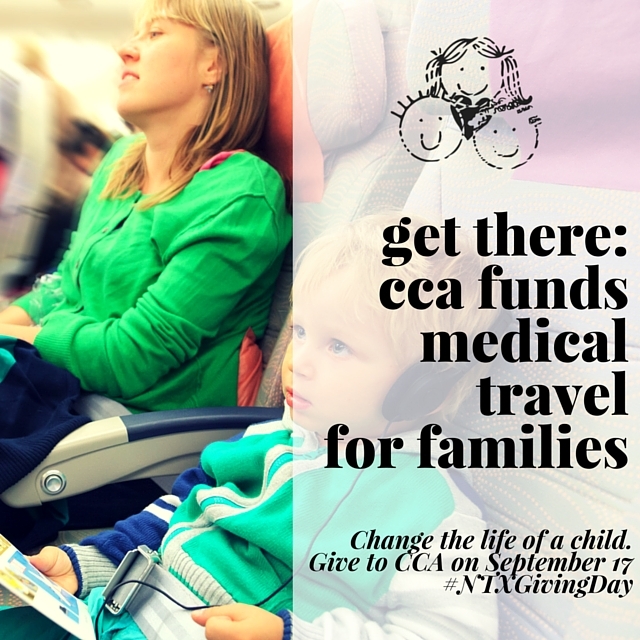 Find out more about #NTXGivingDay here: https://www.northtexasgivingday.org. 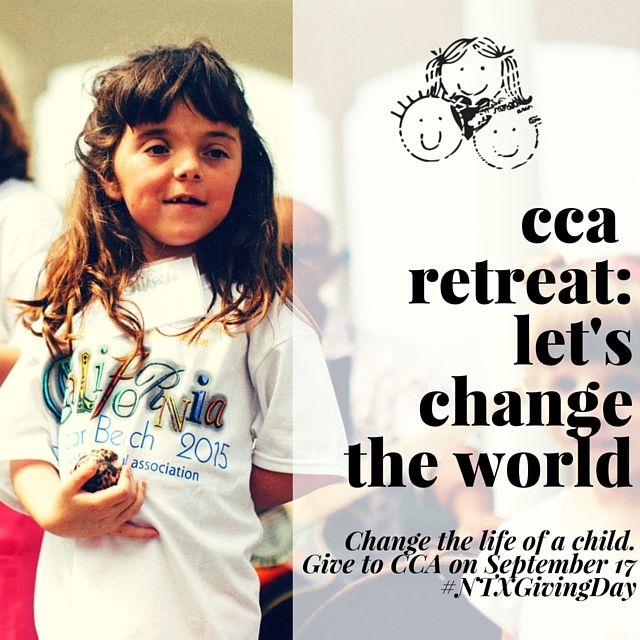 Thank you for helping CCA send more children to Retreat and helping more families travel to quality medical care.